This method provides failover to a redundant ISP link should your primary network connection go down. IT IS NOT going to load balance the traffic across both interfaces. In this example I’ve also got a VPN to a remote site and some port forwarding to contend with as well. Where we are at the start. Before you go any further the ASA that will have the backup ISP line, needs a Security Plus Licence or it’s not going to work. 1. Log into the firewall and setup the IP address on your backup interface. 2. In a ‘Failed Over’ state your traffic needs to then be NATTED to the backup interface, then setup a new route for the outside interface, and finally one for the backup interface. Note: The new primary route will be “Tracked” based on an SLA we will configure in a minute. 3. 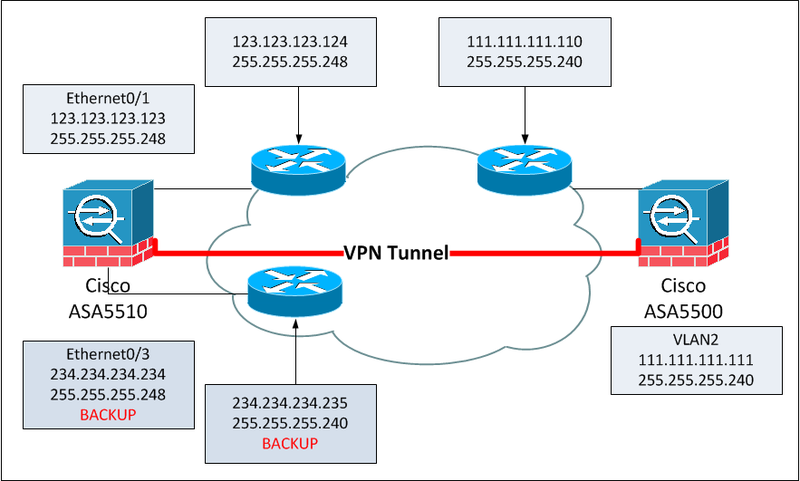 Now we are going to setup a new SLA that maintains connectivity to an IP address (In this case 4.2.2.2 via ICMP, then we are going to tie that SLA to “track 1”, )which you will remember is what keeps the default route on the Primary ISP), if that route fails, it swaps to the backup route. 6. 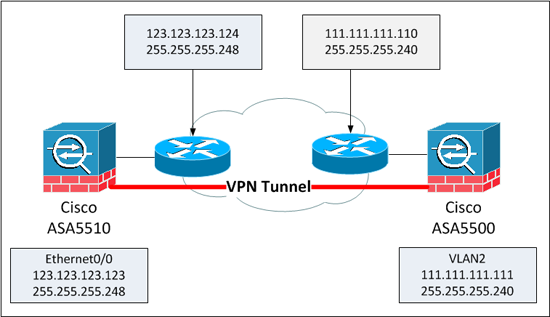 To enable this firewall to accept the existing VPN on its backup interface, you need to add the backup interface to that cryptomap (issue a show run crypto if your unsure). Then you need to enable ISAKMP on the backup Interface. 7. Save the changes with a write mem command. 1. Connect to the firewall at the remote site, find the cryptomap that points to the main site (show run crypto). find the one that pointing to the IP at the main site, then add the new IP address as an alternate peer address. 2. Then create a tunnel group for the new backup address with the same shared secret as tunnel group to the primary IP. 3. Save the changes with a “write mem” command. To test the VPN fails over, at the remote site issue a “show cry isa” command, then get someone at the primary site to disconnect the primary ISP, wait a few seconds and then re-issue a “show cry isa” command and it should have flipped over.